The sight of a palm tree can summon a tropical scene in one glance. Whether marking the site of a spring in a desert or clustering along a humid coastline, they tend to be an arresting and dominant visual component of their environment. Frequently cultivated for aesthetic purposes, they also are commercially important for timber and fruit. Palms are widespread in the tropics and subtropics. Palms are flowering plants, or angiosperms, one of the two major groupings of modern-day vegetation (the other being the gymnosperms, which include conifers). They are, like grasses and orchids, monocots, producing one cotyledon or seed leaf. They achieve their greatest diversity and distribution in the tropical latitudes of the world, but they do invade the subtropics and are widely grown even in temperate regions. The most northerly palms grow in Europe, the most southerly in New Zealand. Royal palms may exceed 100 feet in height. Palms vary significantly in appearance. 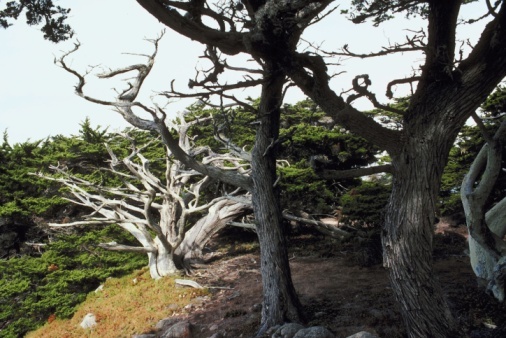 Some grow in solitary form: A single stem produces a single bunched canopy. The coconut palm, broadly distributed in the tropics, is an example. 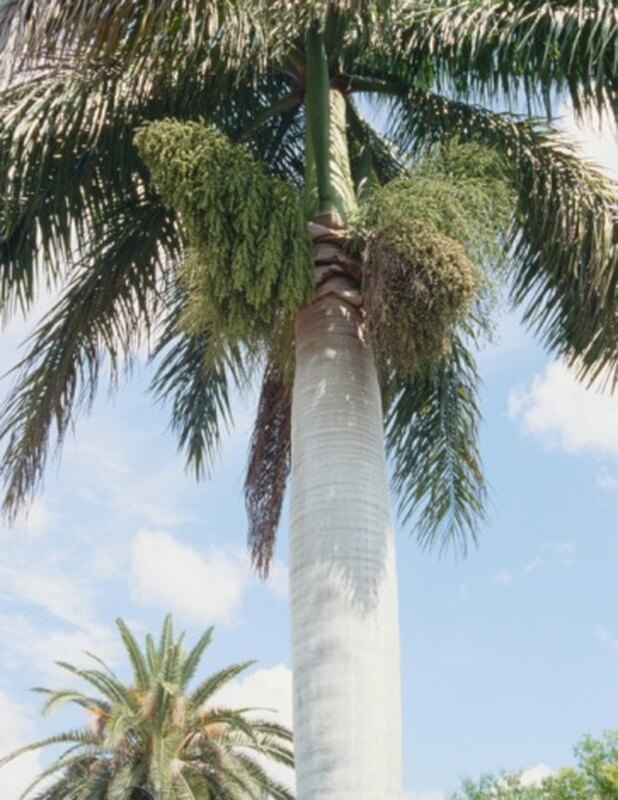 Others, like the Senegal date palm and Everglades palm, exhibit clustered growth, with multiple stems and sprays of foliage at multiple tiers of a single plant. The plants also range in size. The royal palms of the Americas often exceed 100 feet in height, while other species may be under a foot tall. The dead leaves of palms often form a thatch or mane beneath the living canopy. Palm trunks, typically marked in some form at the locations of former leaf bases, are sometimes quite smooth, but certain species have thatched, fibrous or horny trunks: The cabbage palm, for example, often sports the spurs of old stalks nesting up from base to canopy. Some kinds have their stems underground; the saw palmetto runs its stem along the ground, off which the spike-toothed leaves reach upward. Leaves may be slender and elongated or strikingly palmate, as with the fan palms. Palms produce the biggest leaves of all angiosperms, sometimes in excess of 70 feet in length. Dead leaves often mass beneath the living canopy, forming a husky mane, as with the California fan palm. The fruits of certain palms, such as the coconut, oil and date palms, are famously edible. 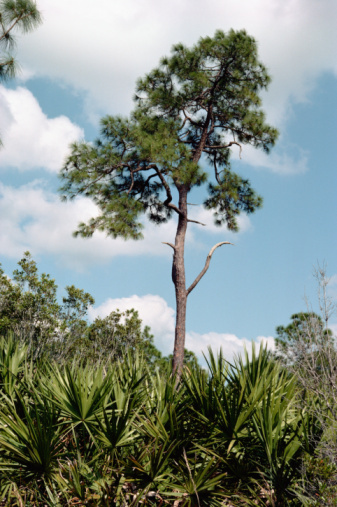 In the Southeast U.S., palmettos may form an understory in pine flatwoods. 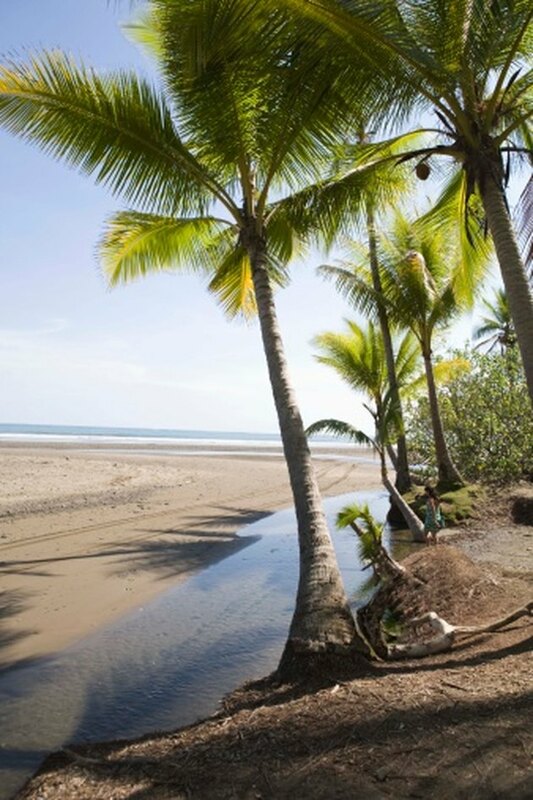 Palms collectively inhabit a massive range of habitats in the tropics and subtropics. 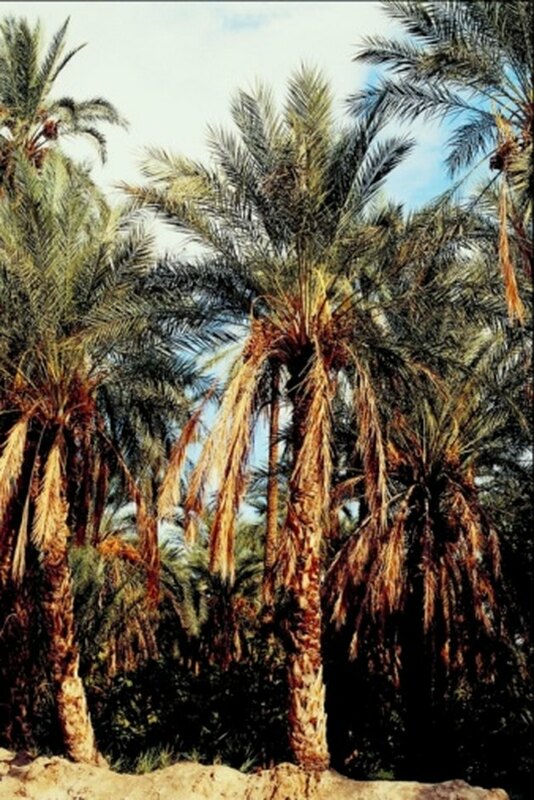 Date palms in North Africa and California fan palms in the Southwest U.S. grow along desert watercourses and oases, while numerous palm species flourish in mist-swathed lowland rainforests of southeastern Asia. Tropical hardwood hammocks in the Everglades and Big Cypress country of southwestern Florida may be lorded over by massive royal palms, solitary or in small clusters, while a stone's throw away, in drier woodlands and savannas, saw palmettos and cabbage palms grow in the sparse shade of slash pines. How Fast Does a Palm Tree Grow? How Do Palm Trees Reproduce?